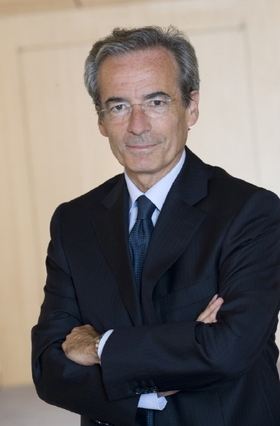 Saint-Geours was CEO of the Peugeot brand from 1998 until 2007. PSA/Peugeot-Citroen said that Chief Financial Officer Frederic Saint-Geours will succeed head of brands Jean-Marc Gales, who is leaving the company to become CEO of the European automotive suppliers association, CLEPA. Saint-Geours' CFO duties will be given to company veteran Jean-Baptiste de Chatillon, who was previously the group's financial controller. PSA, Europe's second-largest automaker after Volkswagen Group, is struggling. PSA said last month it expected its auto division to post a second-half operating loss of more than 405 million euros ($528.64 million). Through 11 months of 2011 its European sales were down 8 percent to 1.5 million and its market share had dropped to 12.6 percent from 13.5 percent, according to data from industry association ACEA. "In this difficult period, I am delighted that Frederic Saint-Geours is taking on the role of executive vice president for brands," PSA CEO Philippe Varin said in a statement. "Bringing the benefit of 25 years of experience with the group, he will put his financial rigor and experience of commercial activities to the service of the two key pillars of our strategy: product upgrading and globalization." Juergen Pieper, a Frankfurt-based analyst with Bankhaus Metzler, said he expects more personnel changes at PSA as the automaker tries to turn around its business. "This year won't be a good year for them because their key markets -- those in southern Europe -- remain weak," he said. "We view this management change as an overall positive," Credit Suisse analysts said in a note. Saint-Geours, who has held positions including Peugeot brand chief in a 25-year PSA career, seemed "more at home when it came to running the operations within PSA rather than communicating to capital markets," they added. London-based Societe Generale analyst Stephen Reitman said the rebranding side of Gales' remit had been going quite well, but the missed performance goals and PSA's multiple profit warnings reflect a failure to meet sales targets. Chatillon's most recent role as financial controller could equip him well to deliver the promised savings as CFO, amid deteriorating European demand and pricing. "Given what's happening in 2012, you need someone who knows where cuts can be made," Reitman said. "With no guarantees of relief on the revenue side, the focus of the performance plan moves to costs." Saint-Geours, 61, has held a number of key posts since joining PSA from France's Ministry of Finance in 1986. He was senior vice president of the Peugeot brand from 1990 to 1997. In July 1998, he was promoted to CEO of Peugeot and made a member of PSA's top-level managing board. He was replaced as Peugeot boss by Jean-Philippe Collin in 2007 and became a strategic adviser to then-chairman Christian Streiff as well as a member of the PSA executive committee. In June 2009, he returned to the managing board was executive vice president, finance and strategic development under current PSA CEO Varin. Saint-Geours is also CEO of Banque PSA Finance, a job he will keep. Chatillon joined PSA in 1989. He joined Citroen in 2001 as head of European imports before being named managing director of the brand's operations in Belgium and Luxembourg. He held that job until June 2006 when he was appointed PSA's director of warranties. Since May 2007, he has PSA group financial Controller. Gales wants change of direction. Gales, 49, will continue to sit on the PSA management board until March and will start as CLEPA CEO on April 2, succeeding Lars Holmqvist, who is retiring after eight years at the helm. Gales said he would also take up a deputy professorship at London's Imperial College. "After a very rich career in automobiles, I have decided to change direction," he said in a statement. 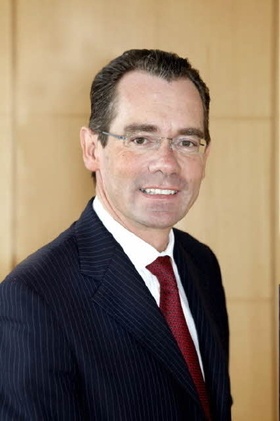 Gales, a native of Luxembourg, joined PSA as head of Citroen in April 2009. Two months later he was appointed to oversee Peugeot and Citroen as the head of PSA's overall brand strategy. Previously, he worked for Mercedes-Benz, Volkswagen, General Motors and BMW. His robust management style had sometimes ruffled feathers at the family-controlled automaker, according to a former PSA executive who worked with the Luxembourg national. Some of the strategy ideas he openly floated also seemed at odds with the rest of management. Last March, Gales outlined plans for a new, low-cost Chinese brand to be sold online in Europe. The idea was played down by Asia chief Gregoire Olivier weeks later and ultimately rejected by Varin. PSA warned last month that the core automotive division would likely post a loss for 2011, compared with an initial profit target of more than 621 million euros ($811 million) announced in February 2011. In October, Varin had said the division would come "close to breakeven" and unveiled plans to generate 800 million euros in savings this year by cutting 6,000 European jobs.